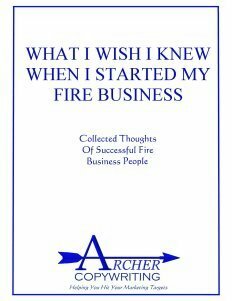 Does your fire business or fire nonprofit perform as well as you would like it to? I also perform in-depth fire-related research and keep track of emerging trends in the industry with timely information on new studies, new products, and new strategies for fighting wildfires. See what I can do for you! 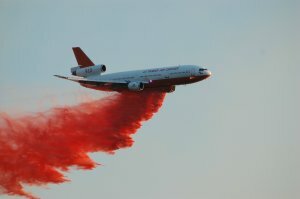 "10 Tanker Air Carrier was established in 2002 to develop modern jet aircraft for aerial fire-fighting. While experienced in commercial aircraft modifications and airline operations and maintenance, the company was then new to fire suppression. 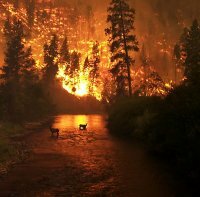 In a matter of months, 10 Tanker's research showed that while an abundance of writers addressed wildfires when they raged out of control, very few had an in-depth understanding of the industry. One who stands out as a dedicated, knowledgeable exception to the field is Mike Archer. Mike's written communications are consistently timely and accurate. As such he has developed a respected position among professionals throughout the industry, and would be able to assist others in navigating the complexities of this unique industry"